Despite ongoing crisis and conflict in Ukraine, the Church is thriving – according to a Church leader – who described a surge in priestly vocations and a dramatic increase in Mass attendance. 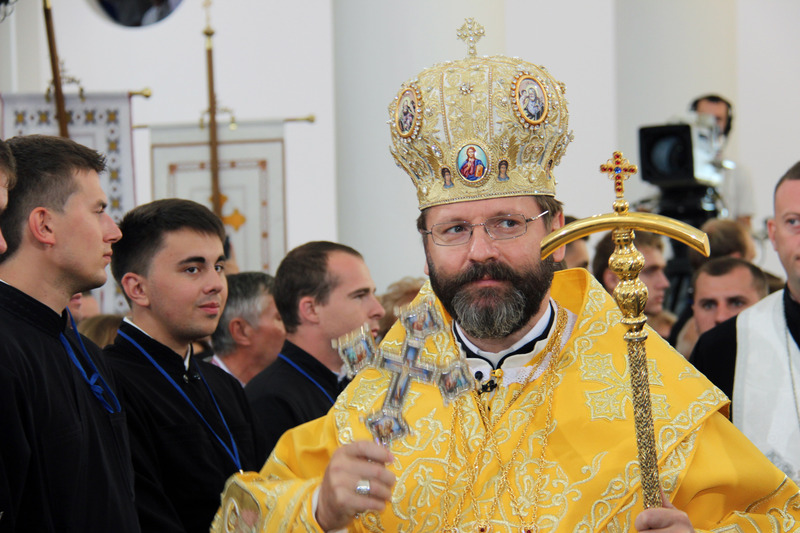 Major Archbishop Sviatoslav Shevchuk, head of the Ukrainian Greek Catholic Church, told Catholic charity Aid to the Church in Need about growth in religious devotion at a time of continuing tensions in parts of the country and daily acts of violence. Describing the challenges in his Archdiocese of Kiev, he said his newly re-established seminary was “the fastest-growing in the Church”. He added that, despite a vocations boom, the Church is still short of priests thanks to a dramatic increase in Mass-goers. The Major Archbishop explained how the Church’s growth was taking place against a backdrop in which, as he put it, “Ukraine is bleeding”. He said: “No one talks about the on-going military action in eastern Ukraine anymore. “Every day someone is injured or killed. “In the last 24 hours, two people were killed and four wounded. “Millions of our people are leaving. One of our bishops called it an evacuation, not an immigration,” he said. But the archbishop said Ukraine can be a global “solution, not a problem”. He said the Church’s Vibrant Parish volunteer programme was proving very effective, offering parishioners much-needed hope. According to a survey, the three groups with the highest positive rating among Ukrainian people are the Volunteer Movement, the army and the Church. The Volunteer Movement provides money, food, warm clothes, medicines, and medical supplies, as well as help for injured soldiers. Volunteers in eastern Ukraine are often part of Greek Catholic parish communities and frequently help out in the evenings after doing a day’s work. Saying that he needed 50 more priests for his diocese alone, he praised Aid to the Church in Need for its ongoing financial support for the training of clergy. He said: “Our seminarians are the hope of our Church. We thank Aid to the Church in Need for helping us not only to receive these vocations but to train them because our Church desperately needs them.